The Sidebar acts as your control center in ClickUp. This is where you determine which tasks you want to see in Box, Board, or List View. To collapse or expand the Sidebar, simply click the arrow icon as shown below. 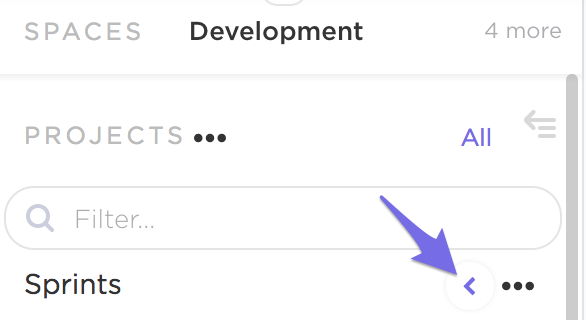 Move tasks to different Projects and Lists by dragging and dropping into the sidebar. By selecting "Me" in the upper left corner of your screen, your sidebar will display only the Projects and Lists that are relevant to you. The Sidebar is the one place in ClickUp where you can create and edit your entire structure. The Sidebar also gives the opportunity to get granular with the tasks you see in List, Board, or Box View. With just one click, you can see tasks within one specific List, within an entire Project, or even within all of your Projects in a Space. Additionally, click on the arrow < next to a Project's name to view a dropdown menu of all of this Project's Lists. 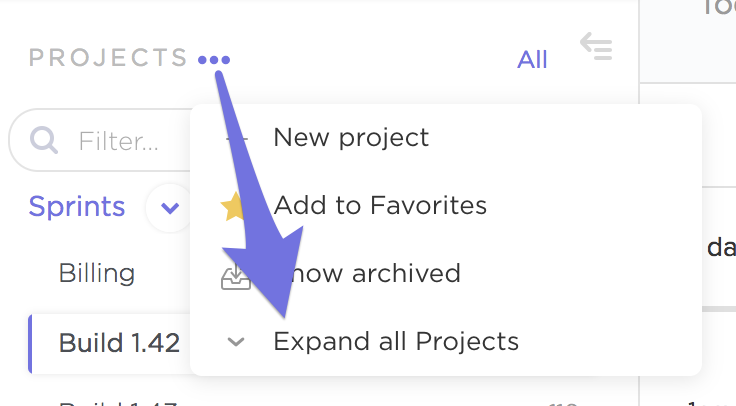 Selecting "Expand all Projects" by clicking on this ellipses will allow you to quickly view all Projects and their respective Lists within a Space. Guests are external users with whom you can share select Projects, Lists and tasks. Guests will only be able to see items in their sidebar to which they have been given access. They will also only see other users who have access to these same items. Keep in mind that if you share a Project with a guest, that guest will have access to all of the Lists within said Project. If you share a single List, the guest will only have access to said List. Guests will not ever see Spaces. 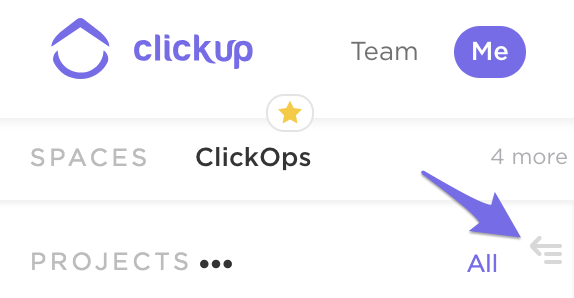 Need more information on getting started with ClickUp's Hierarchy? Click here!